This page created 11th August 2004, updated 20th August 2012. London Transport bought several types of large single-deckers in its search for a replacement for the Leyland National. It didn't know that the Dart lightweight, in its longer versions, would eventually complete the job. It had tried DAF-powered Optare Deltas (DA), and Lynxes in small numbers, and sampled the Renault PR100 (RN1) and the Scania N113 (SA1). Now, early in 1992, it tried a home-grown product, Dennis' heavyweight Lance, with dual-doorway Alexander PS bodywork. These seated just 39 in their 11.7 metre long bodies (fewer than a 9.0m RF). They were painted in a striking red, white and black livery with grey skirt. 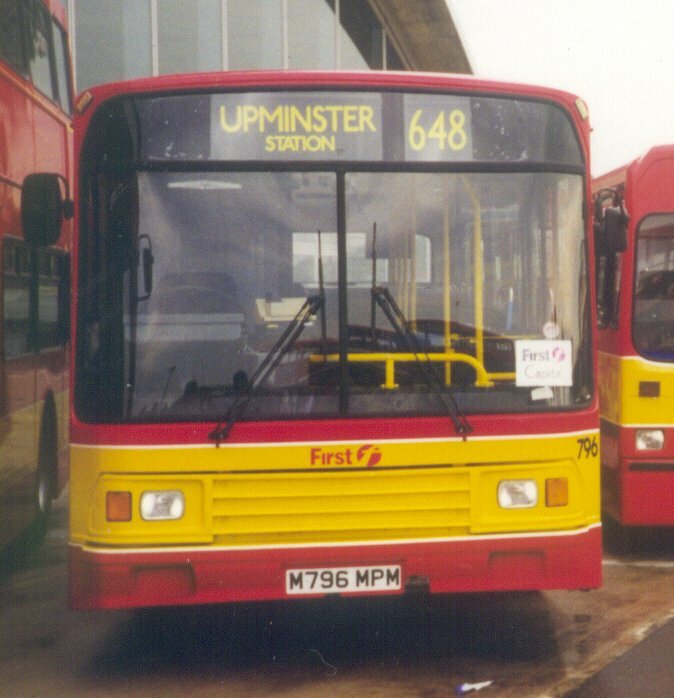 The sixteen buses went to work in May 1992 at Catford garage (after two had appeared in April at the Brighton Coach Show), working on the 36B, which had suffered severe vandalism problems upstairs on its Routemasters. It was hoped that single-deckers would alleviate this problem. But the new buses were not universally popular. Buses this long had problems with right-angle corners, and although the long run out from Camberwell Green to Grove Park did not have many such, they did cause problems in London traffic. On Sundays, when the 36B ran to Victoria, Titans had to be used. 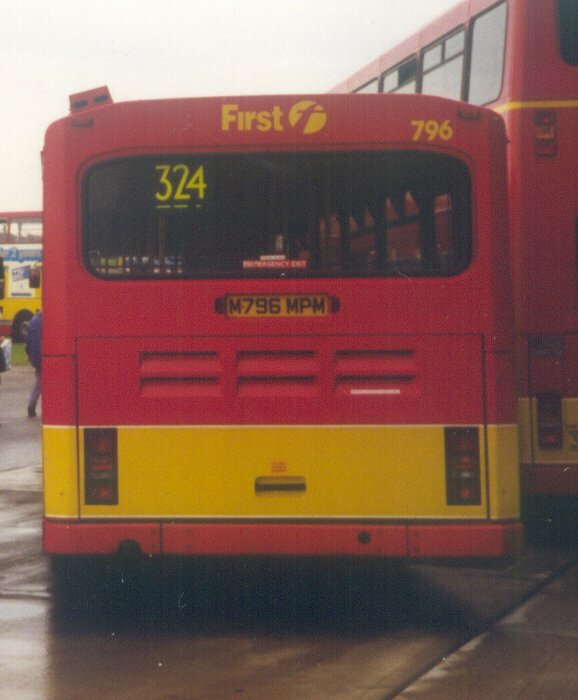 Early in 1994 they were officially switched to the 208, working alongside the new LV Lances, and then to route 75. Stagecoach Selkent took them over in September 1994, then moved them in July 1995 to Stagecoach East London at Barking, for the 145, but also the 150 and 238. They suffered a repaint to unrelieved red, with Stagecoach East London logos. But a life of freedom in the uncluttered parts of Britain called. They were converted to single doorway 47-seaters and despatched to Ribble in Bolton in early 1997, replacing a fleet of Leyland Nationals that had been smashed by vandals during Christmas. They stayed there through the sale of the Bolton services to Lancashire United - part of the Blazefield Group - in April 2001, and then sale to Blue Bus in Bolton in August 2002. Capital Citybus bought one of the type. 796 had been a demonstrator for Dennis. Citybus bought it for its Ilford single-decker routes. First Capital took it over. It became DB67296 in the First renumbered, and moved on to the West Country in 2006. 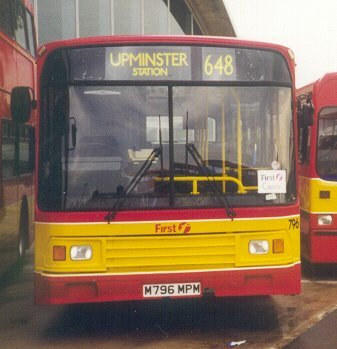 First Capital 796 at Showbus 1998 at Duxford. Ian's Bus Stop LA text. LA bus histories. LA photo refs. LN.